Can I be honest for a quick second? Yes? Good… I have a cake mix problem. They are just so stinken simple to use in every recipe. I keep my little hoarder stash in our food storage and reach for one on special occasions… You know… Like Wednesday’s (huuuuump day!). Good thing is I actually HAD a reason to bust one out last week. 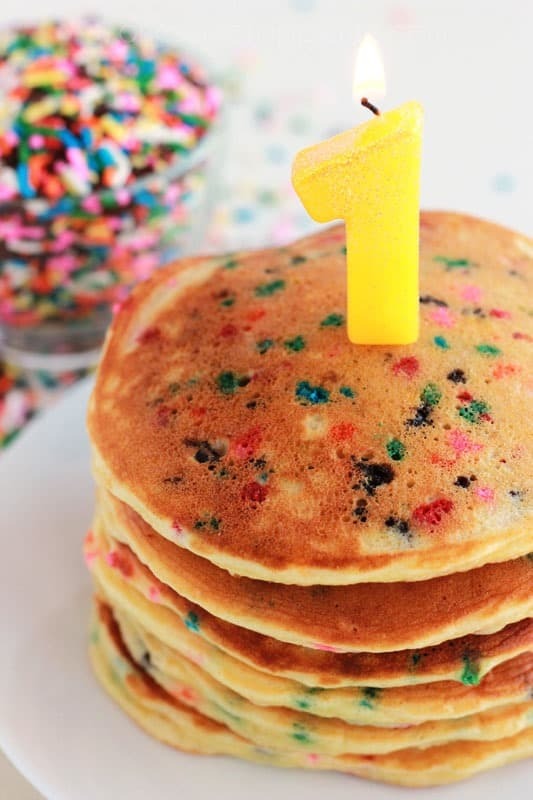 My little baby turned six and we started our celebration with some Birthday Cake Pancakes. 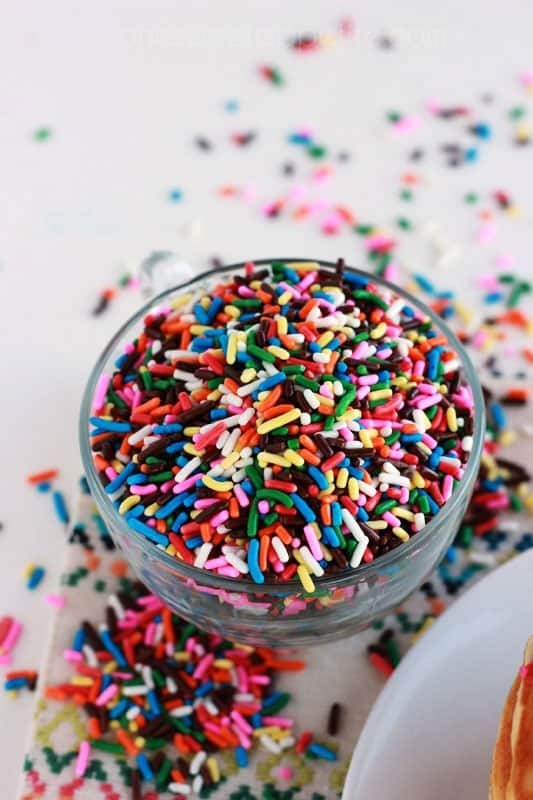 With sprinkles, of course. Pay no attention to the number one candle. Apparently, once you’ve blown out your candle on your birthday you get to keep it. Forever. Even if it’s drenched in syrup. So I dug through my drawers and was able to find this sparkly gem. One is no longer the loneliest number. 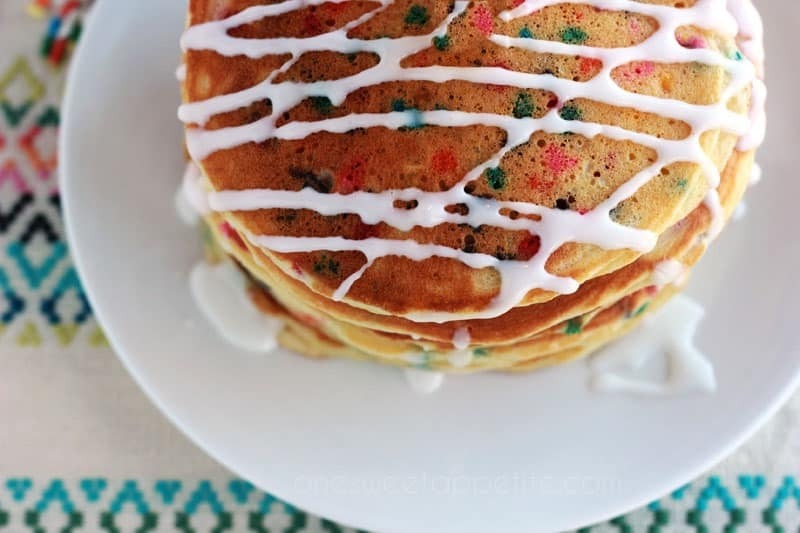 It has about a billion sprinkles to keep it company. Speaking of, I found that jimmies work best in this situation. They don’t melt too much and show up nicely on each little pancake. 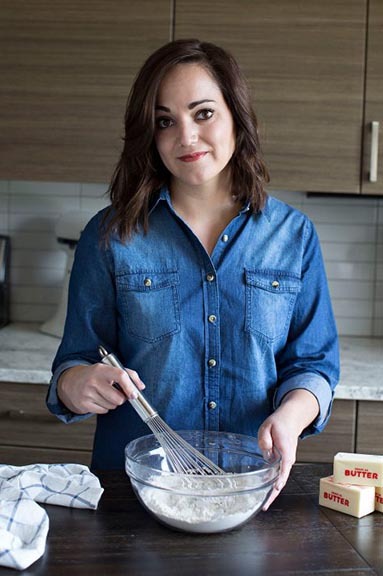 The sweetness of the cake mix is toned down with a little Bisquick and the flavor you are left with is simply sweet perfection. You can top it with a little butter and syrup OR you can go an extra step and make a sweet vanilla glaze. Just whisk together some powdered sugar, vanilla, and milk. Whisk together the pancake mix, yellow cake mix, milk, eggs, and both extracts until batter is smooth. Set aside. Heat a griddle or large pan over medium heat. Grease with cooking spray or butter. Spoon 1/4 cup of batter onto the surface. Sprinkle with jimmies. Cook until the edges are lightly browned (1-2 minutes) flip and cook until the remaining side is golden. I will try this recipe for my daughter bday. How fun! Tell her happy birthday from me!